The New York Center for Photographic Art is challenging photographers to pair 2 photographs and present them in diptych format (both images in one file). Not any 2 images; rather 2 that seem the same; but different enough to make each unique. They may be 2 versions of an image that you processed differently, or the same scene at different times of day. You might have two portraits of the same person with a feature or features that distinguish the 2 images. The possibilities are endless and the room for interpretation and creativity equally vast. This call is a little different and one we hope you have fun with when selecting your submissions. Using the diptych format, enter your pairs of images – two images that are THE SAME BUT DIFFERENT. Grand Prize: One photographer will receive $1500. 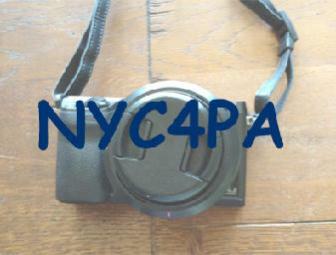 The winning image will be featured on the home page of NYC4PA website. First Prizes: 3 photographers will receive $500. Second Prizes: 3 photographer will receive $400. Third Prizes: 3 photographers will receive $300. Honorable Mention: 20additional images will be presented with a certificate of honorable mention, listed in the Online Gallery and the exhibition catalog.